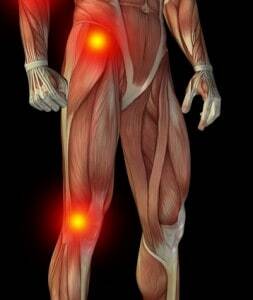 Osteoarthritis or degenerative arthritis is the most common form of arthritis. It is associated with wear and tear. Weight bearing joints such as the hip and knee are commonly affected. Osteoarthritis results in joint damage, which affects quality of life, functional ability and results in pain. Platelet Rich Plasma (PRP) has been used for a variety of orthopedic musculoskeletal problems. The use of PRP for hip and knee joint complaints has become more popular. This is also reflected in patients desire to avoid joint replacement for advancing hip and knee osteoarthritis, and the desire to treat conservatively. Regenerative Medicine treatment such as PRP and Stem Cell Therapy focus on the body’s reparative mechanisms, and by enhancing these affects joint destruction may be halted or reversed. Patients desire to maintain active lifestyles, treatments that can facilitate this functional quality are highly desired. The incorporation of cutting edge regenerative therapies may alter the paradigm that the joint will just continue to wear until it is time to replace it. This active shift in treatment approach to preventative and regenerative medicine will be instrumental in preventing further joint degeneration by failure to understand factors such as weight, excessive repetitive joint stress, and effective medical management. Understanding ineffective and effective treatment approaches may signal the emergence of much earlier intervention in the development of arthritis, which may ultimately be more effective in treatment. The less damage to the hip or knee joint, the less repair that is required. The more attuned patients become to preventative measures and effective regenerative type procedures, the more likely deterring degenerative arthritis will become. Platelet Rich Plasma (PRP) and Stem Cell Therapy may be effective strategies for managing osteoarthritis of the hip and knee. Early intervention is easier, however patients who have been told they need hip or knee joint replacement have successfully been treated with PRP.